With the increasing legalization of cannabis globally, there has been a substantial need for robust and reliable analytical techniques to ensure the safety of the products used by consumers. Perhaps the most challenging analysis required for the safe production of cannabis products is the screening and quantification of pesticides. The analytical technique of choice for most pesticides of interest has been LC-MS/MS due to the ultra low limits of quantitation and excellent selectivity. Despite these characteristics, LC-MS/MS analysis of pesticides can be difficult in matrices such as cannabis. 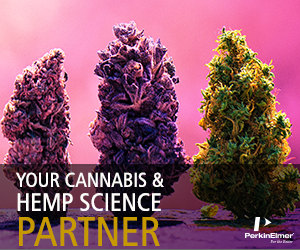 Particularly due to the highly variable nature of individual cannabis plants depending on many factors including growing conditions and plant genetics. Different plants can exhibit highly variable matrix profiles resulting in difficult and unpredictable quantitation of the pesticides due to ion suppression and interferences. This presentation will discuss the strategies used to tackle these issues using ultra high sensitivity with the SCIEX QTRAP® 6500+ LC-MS/MS System well as the benefits of the Scheduled MRM™ Algorithm Pro. Learn how to set up instrument methods to leverage the full sensitivity and performance of an LC-MS/MS to meet regulatory minimum residual levels. 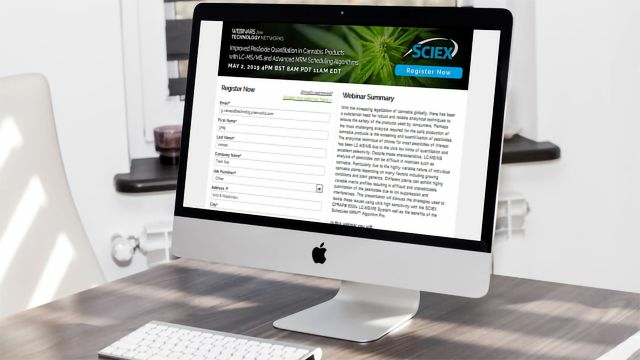 Learn how to successfully meet the requirements of Health Canada for the analysis of pesticides in cannabis samples. Learn about advanced techniques in the acquisition software that will improve sensitivity of difficult compounds making it possible to meet regulatory requirements.